Discussion about starting with the cadets. Nine of our TBYC Cadets aged 14 and 15 years, plus a dynamic 12-year-old, represented our club in three Team Racing events over the last 3 weeks. The Cadets have been preparing for these events for some time with practice starts, tactical manoeuvres and even a Team building trip; climbing at Harrison’s Rocks. 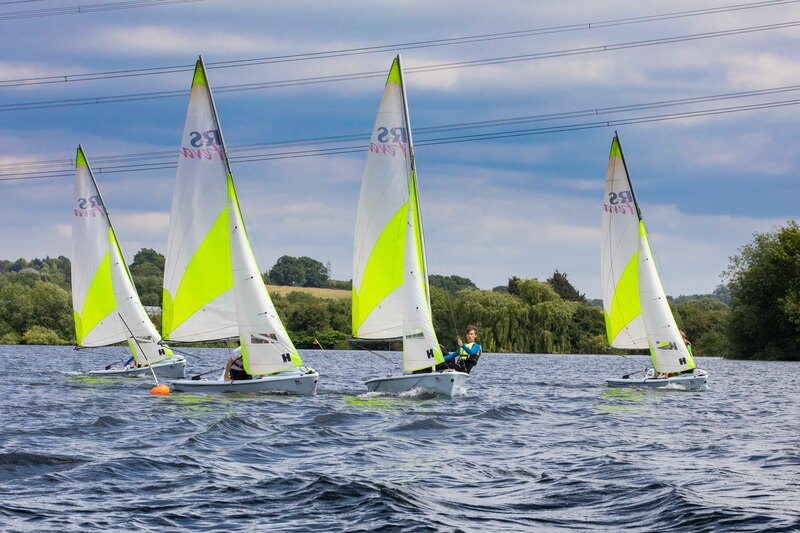 The first of the three events was the British Schools Thames Valley Championships at Maidenhead Sailing Club. This the biggest Team Racing event in the country attracting twenty teams with youngsters aged between 13 to 18 years sailing Fireflys. Our team, whilst being very young, battled well, putting their tactics into practice and achieving =12th position. 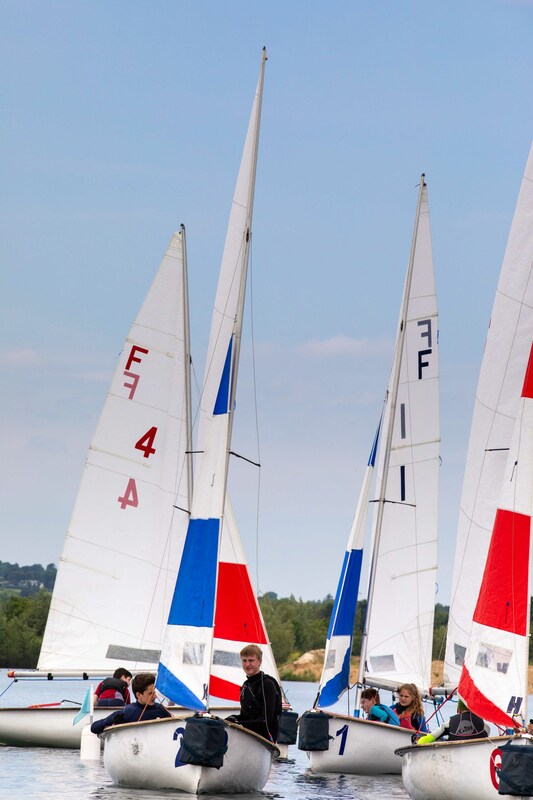 The following week was a match against Haileybury School at Broxbourne Sailing Club, where the teams sailed RS Feva’s in gusty conditions and won the overall competition 3:2. Last Saturday the team, a squad of nine Cadets, sailed against Eton College. The five 7-minute races which make up a match, comprising of 3 boats per team (6 sailors) is competitively sailed using the ‘World Sailing’ rules to tactically hold up the opposition while your team plot their way through to the finish. The five-race match was again taken by our TBYC team. I am, as I am sure you are, extremely pleased and proud of our Cadets, who have worked hard to achieve such success. Well done! 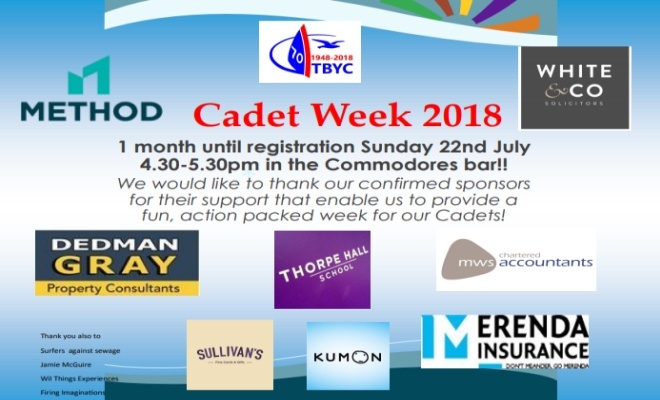 A big ‘Thank you’ must go to the parents who have supported these events, helping with the organisation and keeping the boys and girls feed and watered in style. Also, a special mention to Luke and Adam who delivered the ‘Thank you’ speeches, holding our club in great esteem. There will be no formally organised Oppie Beach Club this afternoon. However the boats are ready to go and as always anyone is more than welcome to use them. Please supervise you children at all times.